There are few things more more ritualistic—and to many, more sacred—than a morning cup of joe. 64% of Americans drink at least one cup a day—a statistic that’s barely budged since the ’90s. Despite warnings from doctors over the years that coffee may be hard on the body, people have remained devoted to the drink. Luckily for them, the latest science is evolving in their favour. Research is showing that coffee may have net positive effects on the body after all. 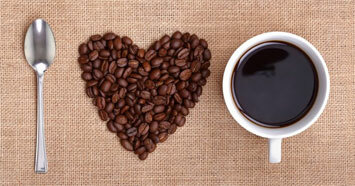 For years, doctors warned people to avoid coffee because it might increase the risk of heart disease and stunt growth. They worried that people could become addicted to the energy that high amounts of caffeine provided, leading them to crave more and more coffee as they became tolerant to higher amounts of caffeine. Experts also worried that coffee had damaging effects on the digestive tract, which could lead to stomach ulcers, heartburn and other ills. But it turns out that coffee wasn’t really to blame. Those studies didn’t always control for the many other factors that could account for poor health, such as smoking, drinking and a lack of physical activity. If people who drank a lot of coffee also happened to have some other unhealthy habits, then it’s not clear that coffee is responsible for their heart problems or higher mortality. That understanding has led to a rehabilitated reputation for the drink. Recent research reveals that once the proper adjustments are made for confounding factors, coffee drinkers don’t seem have a higher risk for heart problems or cancer than people who don’t drink coffee. Recent studies also found no significant link between the caffeine in coffee and heart-related issues such as high cholesterol, irregular heartbeats, stroke or heart attack. In a large study involving tens of thousands of people, researchers found that people who drank several cups a day—anywhere from two to four cups—actually had a lower risk of stroke. Heart experts say the benefits may come from coffee’s effect on the blood vessels; by keeping vessels flexible and healthy, it may reduce the risk of atherosclerosis, which can cause heart attacks. Coffee may even help you live longer. A recent study involving more than 208,000 men and women found that people who drank coffee regularly were less likely to die prematurely than those who didn’t drink coffee. Researchers believe that some of the chemicals in coffee may help reduce inflammation, which has been found to play a role in a number of aging-related health problems, including dementia and Alzheimer’s. Some evidence also suggests that coffee may slow down some of the metabolic processes that drive aging. One downside is that people may become dependent on caffeine (no surprise to any regular caffeine-drinker who takes a coffee break). The symptoms—headaches, irritability and fatigue—can mimic those of people coming off of addictive drugs. Yet doctors don’t consider the dependence anywhere close to as worrisome as addictions to habit-forming drugs like opiates. While unpleasant, caffeine “withdrawal” symptoms are tolerable and tend to go away after a day or so. Like so many foods and nutrients, too much coffee can cause problems, especially in the digestive tract. But studies have shown that drinking up to four 8-ounce cups of coffee per day is safe. Sticking to those boundaries shouldn’t be hard for coffee drinkers in the US, since most drink just a cup of java per day. Moderation is key. But sipping coffee in reasonable amounts just might be one of the healthiest things you can do.